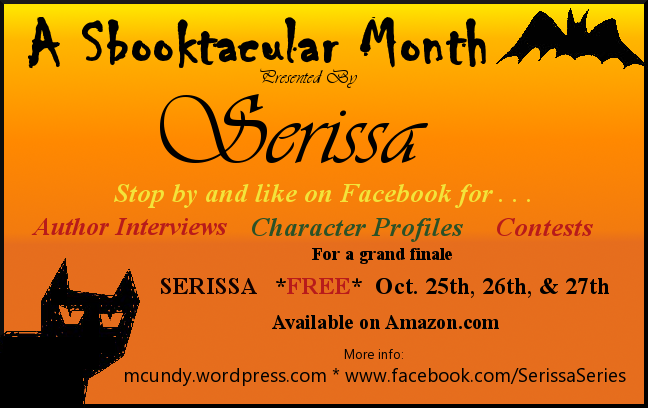 I am always searching for the best way to explain Serissa, the character and the story. She haunts me right along with her fellow cast mates. I have even found myself having mental conversations with them on how they feel their part in the story is going, having shaped the story in ways I didn’t foresee. Dayton and Kyle have surprised me the most in that aspect. I felt they had significant enough roles, but as the different editions to the series have played out, I realized they needed more attention than I initial planned on giving them. I will admit its interesting to have characters hijack your story and run wild with it, and all the while you are simply trying to put into words exactly what they’re going through. I’ve even had an early reader ask me how long I’ve known Gabe. He’s in many ways very real to me, and I have in fact known him for a very long time. That wasn’t the only reader to catch on, but I won’t likely publicly explain how Gabe came to be, other than what I’ve just said. I guess the point is, I didn’t dream the story up one night and try to capture it. I started with a teeny tiny idea, a cross of an Avril Lavigne song, aliens, and sacrifice that I came up with standing in my kitchen one night. After that the characters wrote themselves, I simply followed behind tapping keys fast enough to keep up. Their story seems to be different. 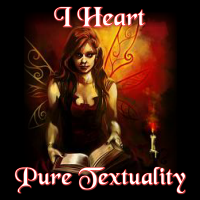 I have been searching through like themes in books now that the book has been released. I avoided anything similar before as to not draw from them in any way, and forge some sort of mix of theirs and mine. I wanted to stay as unique as possible to my ideas, and outside genre based traditional elements, I think I’ve stayed true to something original. In my searches I have found minimal semblances, but nothing you wouldn’t see in any other book of the same nature, the expected stuff. I feel that the music is what makes Serissa special. I really drew upon that sense I feel a lot of us get when we’re younger of wanting to either be famous, or just make some kind of difference when we’re older. Don’t we all want to leave our mark in some way? The musical element is only one level though, and it’s role is important as it drives a large part of the story, but it also expresses it’s ability to communicate as it’s own universal language. What a better way for mass communication. Inside that there’s all these other stories … how friends and family shape who we are, that our interactions are more important than simply coexisting on an outer layer. There’s a deeper layer inside us that can not survive completely alone. Sometimes it’s hard to find that layer, but when it makes itself present it can alter so much of our perception. Its that moment you learn that no matter how deeply you may dislike someone, everyone has their part in this world as either a participant in a better community or an example of how not to be. The latter at times gets out of control, and at some point it has to be contained. As Dayton says in the book, “no society can fully sustain without order.” But who maintains order and is it something we can maintain? To me a lot of this comes with how we are originally shaped by our surroundings, but what if you could step in and reshape as needed? That’s Serissa’s job, and even though she can do it, she has to learn how and where to draw the line. There’s also the consideration that some things are never meant to be, and in truth you really do have to let go once in awhile. But what if the one thing you had to let go of was the one thing you’ve been secretly counting on all your life? That one thing was part of what originally shaped you, made you stronger in all the worst ways, and ultimately guided you in the right direction where everyone else failed? And no matter how hard you pushed away the thing you loved most, it knew who you really were inside and out, and letting it go meant losing a part of you, you believe will only destroy you. What if breaking all the rules and keeping the one thing you desire set in motion a line of events that will only kill everyone, and if you were happy to die with the one thing you love rather than save your family, or friends that are as good as family? Serissa knows what she has to do, but she struggles with crossing that line from teen to adult where decisions begin to reflect on a person. Becoming famous will only worsen how much light is shed over her mistakes and imperfections, and all the good she really has the opportunity to create will only be forgotten as no one will likely ever know the truth about who she really is. She doesn’t know if she will ever truly know who she is, and just as she begins to feel okay with everything, in a reflection of real life, everything changes.